Drift missle debut at the Drift Garage’s DriftXotic Intermidiate Class at SpeedCity earlier last month. Rock’in!!!! This entry was posted in SODA, Sync Optima Events on August 31, 2011 by skagee. We certainly rocked Penang the whole 3 days we were there!! 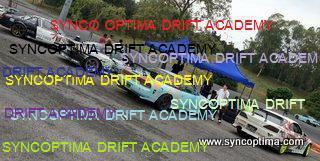 This entry was posted in Blast from the past, Posting by Ariff, Sync Optima Events on August 23, 2011 by skagee.